Prince George's County fire crews are on the scene of a house fire in Lanham, Maryland. Firefighters were called to the home in the 6100 block of Princess Garden Parkway at about 6:15 a.m. Thursday. When they arrived, they found heavy fire in the roof area. 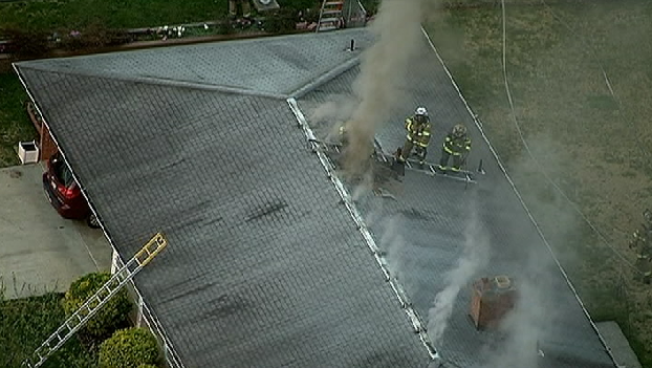 Chopper4 flew above the scene as firefighters scaled the roof to extinguish the fire. Fire officials say five people made it out of the home safely. No one was injured.